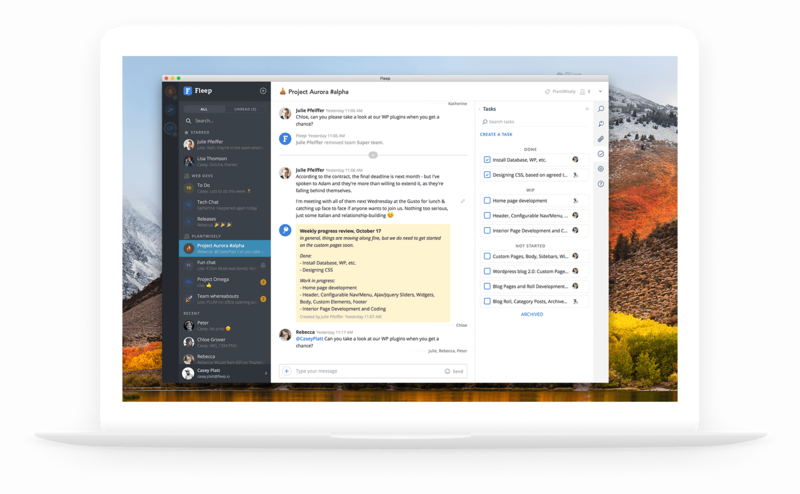 Combining messaging with file sharing and tasks, Fleep has everything you need to coordinate your team’s work from idea to execution. Conversations are at the heart of Fleep. 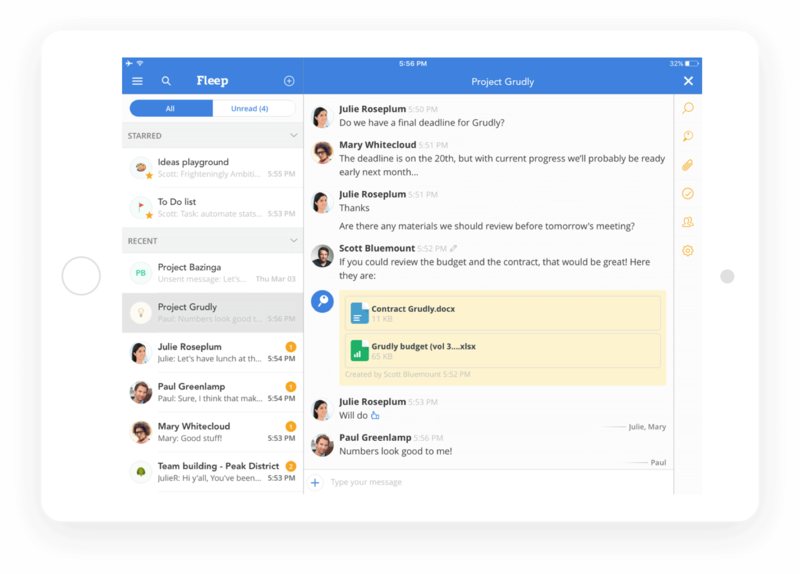 Set them up around projects, teams or any specific topics to stay connected and discuss ideas. Highlight any decisions or plans on the conversation's Pinboard and create tasks to coordinate execution. Communicate with any other Fleep user or team, without having to sign out or sign in separately. Simply search for and add your partners or clients to the conversation. If they're not Fleep users yet, send them an invite to join you. Use Fleep on the web browser or on the native apps for Windows, Mac, Linux, Android or iOS. Your files and messages are stored securely in the cloud, accessible from any device you log in from. 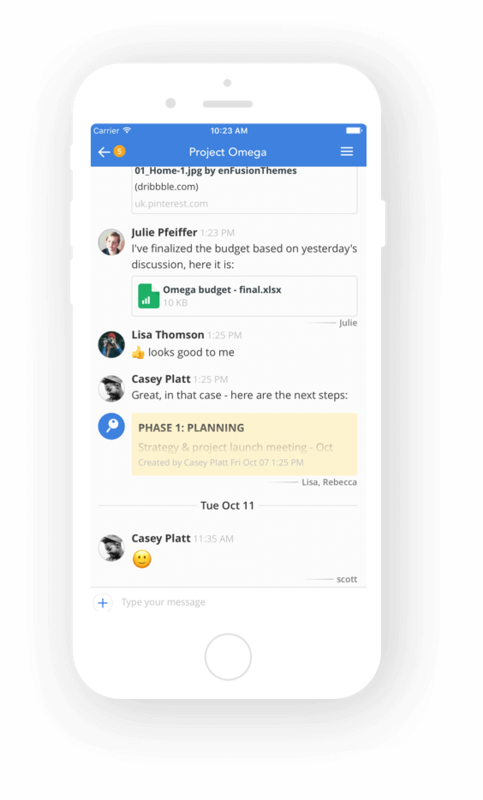 Structure your communication around projects, teams or topics. Pin important decisions and plans to the virtual Pinboard. 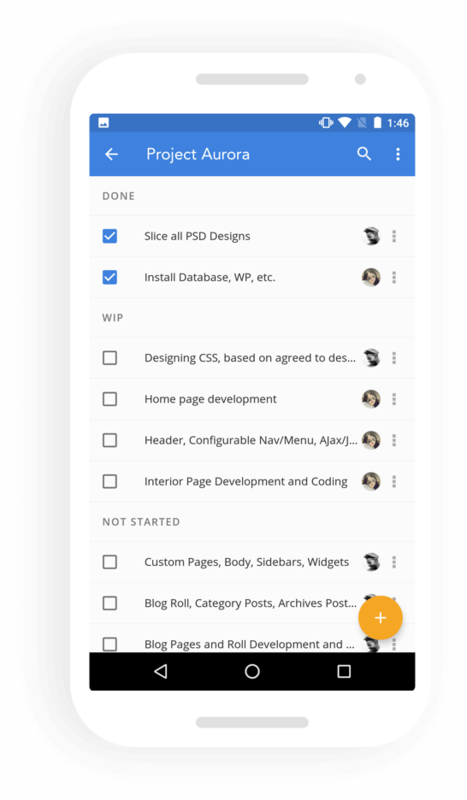 Go beyond discussion with tasks to coordinate and track work. 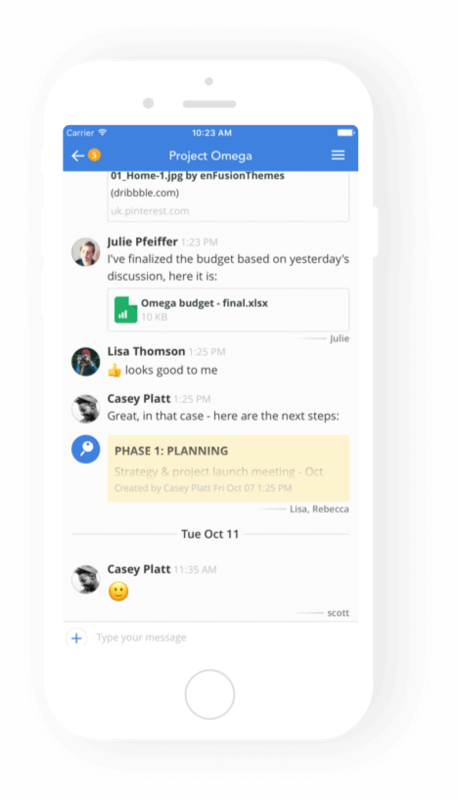 Use Teams to organize your communication in Fleep. Admin control over accounts, message history and Teams. Create easy to follow notification feeds in your conversations.